Preparing your tortoise for hibernation, pre, during and post. Do tortoises need to hibernate? This depends on the species – Mediterranean species naturally hibernate in the wild during the winter months so their physiology, growth and reproduction cycles are used to this process. The UK summer is not very long; there is often not enough heat and UV to sustain tortoises outside. Provision of heat and UV light is required to keep them healthy, especially prior to hibernation. In the wild they will hibernate in their first year but this can be risky. Ideally they don’t want to lose more than 10% of their body weight during hibernation so a 20 gram tortoise cannot afford to lose more than 2 grams! This can be managed with shorter hibernation times and the provision of adequate lighting and heat through the rest of the winter. If kept outside tortoises will often start hibernation in early autumn (October) and not emerge until late spring (April) – this is a very long hibernation which doesn’t give them much time to rebuild reserves for the following year as well as not providing enough energy to make it through hibernation. We recommend a hibernation length no longer then 10-12 weeks. It is advised that you bring your tortoise to us for a ‘pre-hibernation’ check with one of our vets before starting any preparation, just to make sure they are healthy enough to undergo hibernation. Hibernation prep takes 3-4 weeks, during this period you need to slowly decrease the environmental temperature (from around 25°C to under 15°C). You need to stop feeding your tortoise during this time so that the gastrointestinal tract is empty as any food will sit there and rot (baths given during this time can encourage defaecation as well as maintaining hydration). Your tortoise may lose 5% of its body weight during this time. As previously mentioned it is very important to maintain the environmental temperature between 4 and 7°C. If the temperature goes too low your tortoise may suffer from frost bite and too high and they will become more active and burn up their energy reserves. We recommend using a fridge (this can be a small drinks fridge). This is often the only way to maintain a constant temperature with in the UK. It is important to open the fridge once a day to allow ventilation and air circulation. If you cannot use a fridge then a small box placed inside a large box with insulating material packed between them, then placed in a cool place such as the garage will suffice. It is important to check the temperature daily and watch for signs that your tortoise is moving (they should not move around or pass urine). It is important to monitor the weight on a weekly basis and compare it to day 1. Tortoises should not lose more than 10% of their day 1 body weight. If this occurs hibernation should be stopped. Slowly increase the environmental temperature up to between 15°C and 25°C. Start bathing your tortoise daily in warm water – this will increase hydration and stimulate them to wake up. 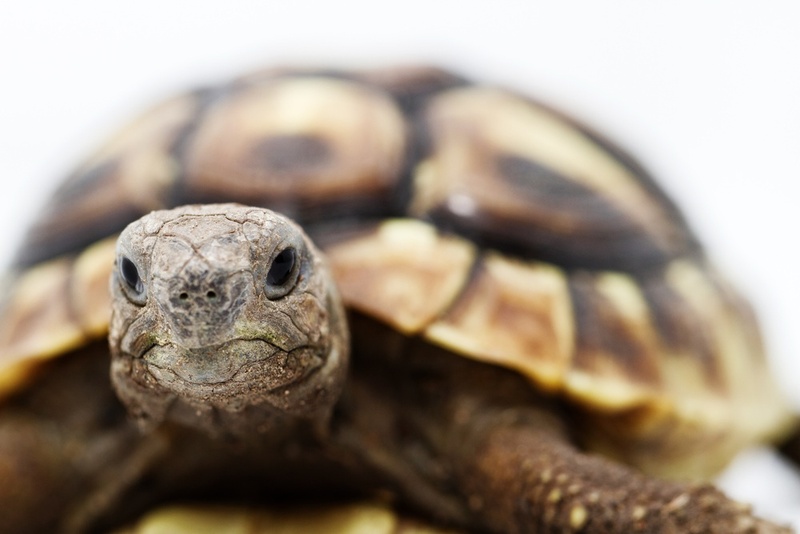 Your tortoise should start feeding within 7 days of waking up – if this does not happen then contact us. For more information or to make an appointment please call 01342 327799. Comment on "Preparing for Hibernation!"